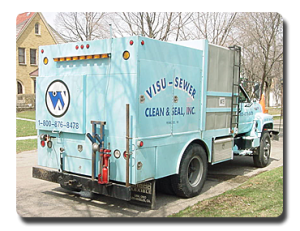 When you choose Visu-Sewer for your trenchless needs you get more than a wide selection of services, you also get over 40 years of proven success and reliable service. What started as a small, family-owned business has grown to become widely recognized as one of the most established and trusted sewer inspection, maintenance and rehabilitation companies in the United States. We believe a mission must be simple in order to be powerful. That is why each and every Visu-Sewer employee stands behind our mission: To provide customers with the peace of mind that their jobs will be done right. Founded in 1975 by Ernest Alexander, Visu-Sewer was started with a core group of employees dedicated to providing the highest quality sewer inspection and maintenance services in the industry. 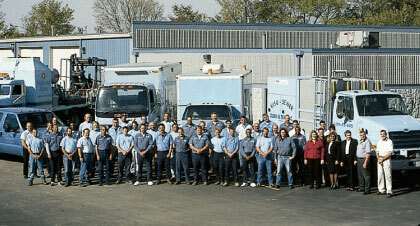 During the first few years, the company focused primarily on sewer cleaning and inspection work when techniques such as hydro-jet flushing and CCTV inspection were developed. Visu-Sewer was instrumental in the refinement of these techniques, which have since been adopted by many others within the trenchless industry. In the 1980s, Visu-Sewer’s scope of work spread to rehabilitation services such as chemical grouting, slip lining, manhole lining and fold and formed lining. Our Minneapolis/St. Paul office opened in 1988 and, during that time, we also opened satellite offices to handle large scale projects in Dayton, Ohio and Houston, Texas. Other significant milestones in Visu-Sewer’s history include the introduction of CIPP in 1994, the promotion of Keith Alexander to President in 2001, and the acquisition of Internal Pipe Inspection (Chicago, Illinois), in 2003, I-Jets (Mason City, IA) in 2008, and Walden Technologies (East St. Louis, IL) 2012. Visu-Sewer was a founding member of NASSCO, the National Association of Sewer Service Companies, and is honored to be the only company with three past Presidents of the NASSCO Board of Directors: Ernest Alexander (1985), Keith Alexander (2004) and John Nelson (2012). We are proud to share NASSCO’s important mission: To set industry standards for the assessment, maintenance and rehabilitation of underground pipelines, and to assure the continued acceptance and growth of trenchless technologies.